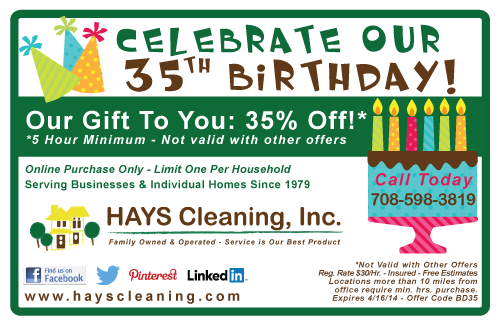 HAYS Cleaning celebrates 35 years but our customers get the gift! 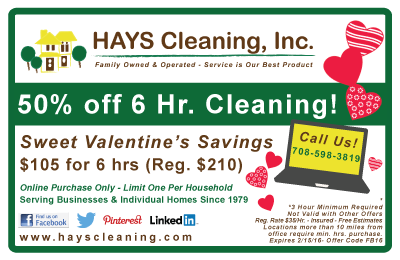 Our gift to you is 35% off of your cleaning. 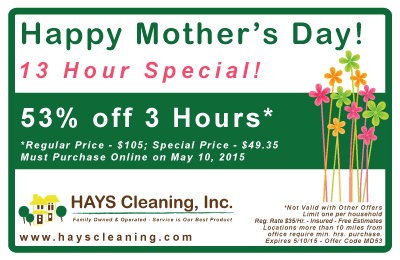 Purchase online by April 16, 2014. 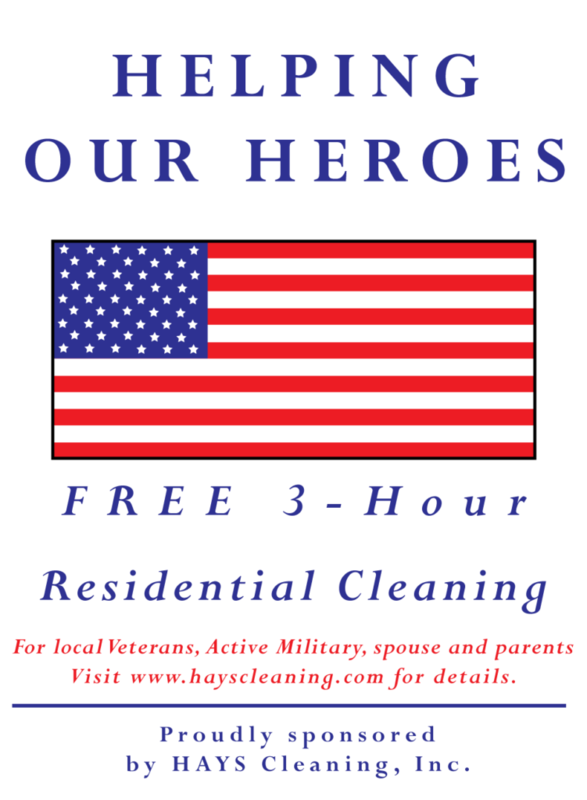 Must purchase by April 16, 2014 and schedule your cleaning by April 30, 2014.